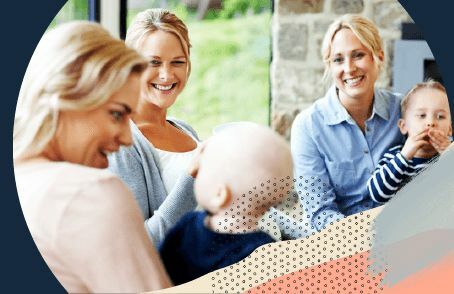 In this best Baby Capsule comparison, you can find out what the Tell Me Baby community thinks are the top Baby Capsules on the market. 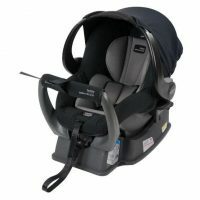 Britax Safe-n-Sound Britax Safe-n-Sound Unity NEOS™ Baby Capsule $399 5 15 "We love our unity capsule. 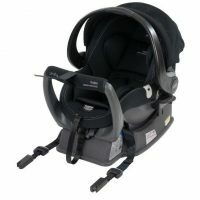 Very easy to install in the car and also easy to remove to use with a travel system..."
Maxi-Cosi Maxi-Cosi Mico AP $499 4.4 53 "A definite must have for mums of multiple children. 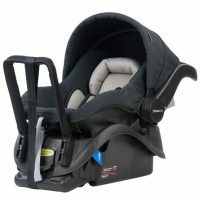 Being able to remove the capsule from the car without having to wake up your baby is a must have especially for those school drop offs..."
Britax Safe-n-Sound Britax Safe-n-Sound Unity™ ISOFIX Baby Capsule $479 4.3 23 "It was so convenient to place and carry my daughter during the early days..."
Steelcraft Steelcraft Travel System Baby Capsule $349.99 4 42 "The capsule is so handy, especially when bubs is so little and still in the really sleepy stage. So easy to transfer from the car to the house..."
Infant car capsules are a rear-facing car seat that is able to be taken in and out of the car easily and carried by a handle. Infant Car Capsules come in two standard sizes, called Type A1 and Type A2. Type A1 infant car capsules are designed for babies up to a large six-month-old. 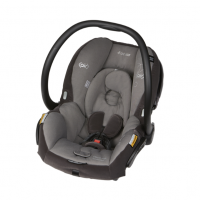 Whereas Type A2 infant car capsules are designed for babies up to a large twelve-month-old. The size of the infant car capsule you choose is worth weighing up in relation to what type of car seat you’re planning to move your baby into when they outgrow their capsule. One of the main advantages of using an Infant Car Capsule is the ability to use them with a compatible pram as a complete travel system. It’s extremely convenient being able to take the baby from the car the pram without having to take them out of their seat. This means some babies might be able to continue their nap undisturbed by the transfer. Also, some babies just dislike the process of being buckled and unbuckled from their car seat to their pram, so being in an infant car capsule will be less disturbing for them. Even if they’re not necessarily asleep for the transfer. Just be aware that prams will only compatible with a select range of capsules and will need to be connected to the pram with capsule adapters, that are sold separately. Some prams will only be paired with the same brand of the capsule. So it’s a good idea to buy your pram, infant car capsule, and the adapters to connect them together at the same time to ensure that they’re all compatible. Adjustable shoulder straps. Some capsules have easily adjustable shoulder straps that simply slide up and down into position by squeezing a lever. Otherwise, you’ll need to rethread the shoulder straps to reposition them as your baby grows. Sunshade. Having a sunshade on the capsule is especially useful when using it as the seat for your pram. Easy Installation. It’s a good idea to have your capsule professionally installed, at least the first time to ensure you know what it looks like when fitted correctly. However, some infant car capsules have features to make getting the perfect fit easier! Easy to adjust base to find the correct angle to match the shade of your back seat. Built in spirit level so you know your car capsule is sitting completely flat. Isofix connector if you have Isofix installed in your car.